Jim Dixon FCPA has extensive experience in advising on financial reporting gained from working with entities and agencies across both the private and public sectors. Jim’s most significant recent challenge has been to address accounting and auditing issues arising from the implementation of AIFRS across the Victorian Public Sector. An important part of this work has been to advise and train staff within the Office of the Victorian Auditor General (VAGO) on the many aspects and issues arising from the implementation of AIFRS. While at VAGO Jim has been addressing the complexities of numerous accounting issues including financial reporting of Public Private Partnerships or service concessions, the specific AASB requirements applicable to the not-for-profit and public sector, accounting for property, plant and equipment, intangibles, and the many aspects of revenue recognition are indicative of his areas of expertise. His work has involved advising the Auditor General and his staff on GFS/GAAP harmonisation, whole of government reporting and the reporting challenges facing government departments, local government authorities, water authorities, cemetery trusts and universities. Jim was a significant contributor to a “Gaps in GAAP” submission to the AASB by ACAG that identified more than 40 concerns relating to accounting and financial reporting by the public sector. 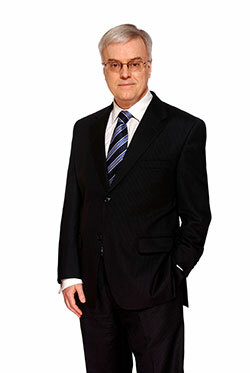 Prior to VAGO, Jim provided advice and training across a wide range of private sector businesses while holding the positions of Technical Director of CPA Australia, Technical Director of chartered accountants, Pitcher Partners and as Senior Manager Research for the National Australia Bank. During the decade of the 1980’s Jim was Principal in his own Accounting & Taxation Practice and a partner in Dixon & Simonsen, consultants to the hospitality industry. From 1 July 2007 Jim has been an associate of ‘GAAP Consulting Services’ www.gaap.com.au (‘Excellence in Financial Reporting’) that provides independent financial reporting, auditing and corporate governance solutions. Jim has undertaken a number of assignments, including litigation support, advice for IPO and on financial instruments, as well as the preparation of accounting manual on infrastructure assets.